According to recent studies, global roaming revenues in 2012 were estimated to be approximately $45 billion dollars. That number is staggering by itself; however, it will be just the starting point as projections by Informa, Visiongain and Juniper Research all forecast roaming revenues to significantly increase to over $80 billion by 2017. What are the catalysts driving this growth and how can mobile operators ensure they are maximizing their overall opportunities? Before answering these questions, let’s do a little research on roaming itself. Smart Phone Adoption. Nearly 700 million units were sold in 2012 resulting in a 40% y-o-y growth rate. LTE Network Launches and Increased Speeds. Video streaming is now the norm. New Regulations (both Domestically and Internationally). Will help remove bill shock as well as keep a level playing field between Tier I and Tier III operators. Over the next few blogs I will dive into many areas impacted by Roaming Management, in particular data roaming. 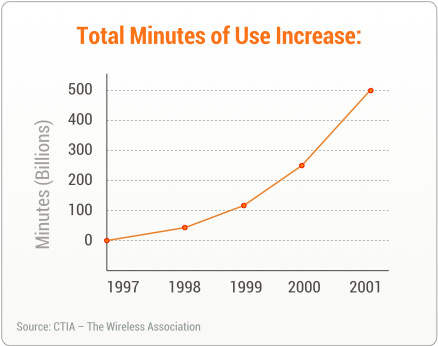 Wireless Carriers are again at a pivotal inflection point which will impact the next 15 years. How do they develop an offering like AT&T’s Digital One Rate, which simplified the process, sparked incredible growth and forever changed the way customers use their wireless phones, but at the same time protect their revenues and support profitability? How do they manage processing and validating their records across multiple technologies and OTT players to eliminate revenue leakage? On the global front, how will plans change to protect customers from bill shock and allow them to freely leverage their wireless devices no matter where they may be across the world? On a personal note, I recently had the opportunity to travel to Rio de Janeiro, Brazil last week. I discovered the voice and data plans are still too expensive to allow me to freely call or text while in Brazil. I found myself constantly monitoring my phone, switching off the data when not needed. Where possible, I leveraged Skype over WiFi to avoid paying $100s of dollars in roaming fees, but where does this leave the service provider? They are letting an OTT service bite into their core business. I’m still hopeful in the future that International plans will closely replicate the simplicity offered in today’s domestic plans, and allow my one phone to become a true global device.